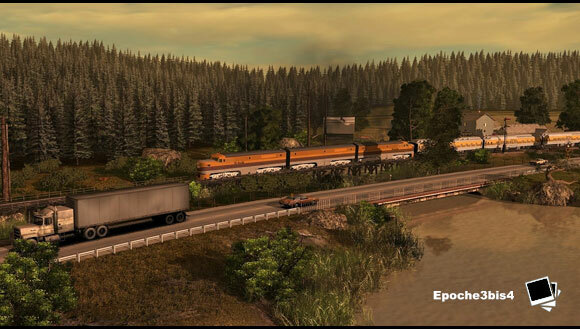 Drive nostalgic narrow gauge steam and diesel trains on your apple device now! Northbay County invites you into a lovely landscape with lots of different industries like gold and coal mines and many others. Load and unload products and bring them to their destinations either on 24 inch or 36 inch track. Drive fantastic sessions or just enjoy multiplayer gaming. 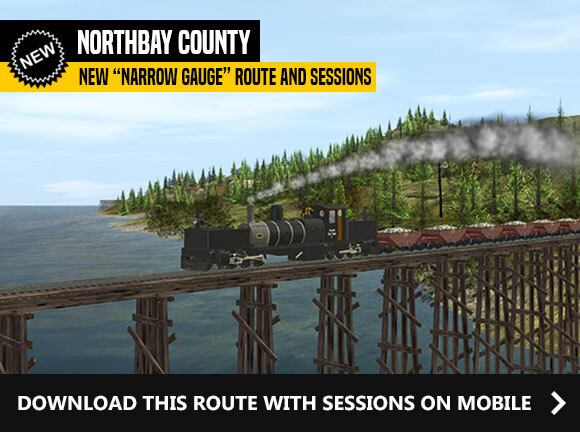 Download Northbay County for Trainz Simulator 2 and Trainz Driver 2 mobile now! 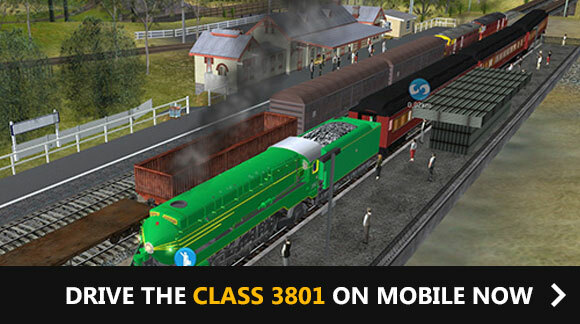 As well as the brand new Northbay County route just released on mobile we have 3 fantastic new sessions on offer for mobile showcasing the Class 3801 4-6-2 steam locomotive operated by the New South Wales Government Railways between 1943 and 1976. It is arguably Australia's most famous steam locomotive and your job is to drive it to Wadalbavale today. Some passenger stops are scheduled. Your job is to drive the Class 3801 to Lambley and back. Some passenger stops are scheduled and the weather seems to be stormy. Your job is to drive the 4-6-2 steam locomotive to Halley and back. Passenger stops are scheduled and freight trains are waiting. You can find these sessions under the Wadalbavale to Karrah Bay route for Trainz Simulator 2 and Trainz Driver 2 on mobile. 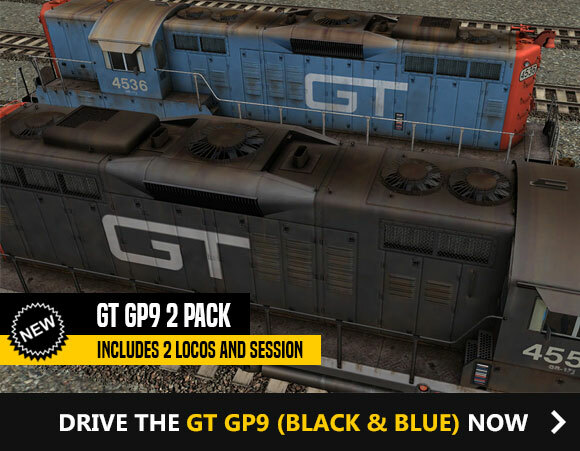 Get the GT GP9 ( in Black and Blue livery ) in this great 2 pack. 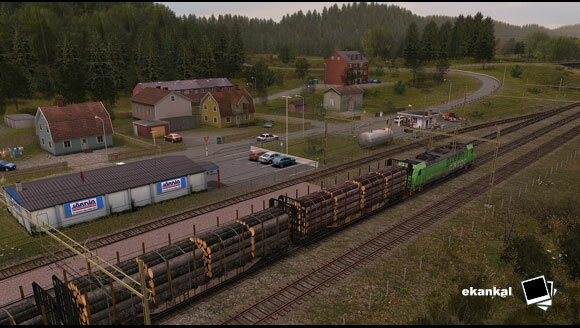 The GT GP9 2 Pack comes with a detailed sessions which has you hauling oil tankers all over Kickstarter County. Find each of them in Surveyor under the "Train" tab to add to your route and session creations. Purchase on SimulatorCentral.com, STEAM and Mac Store. 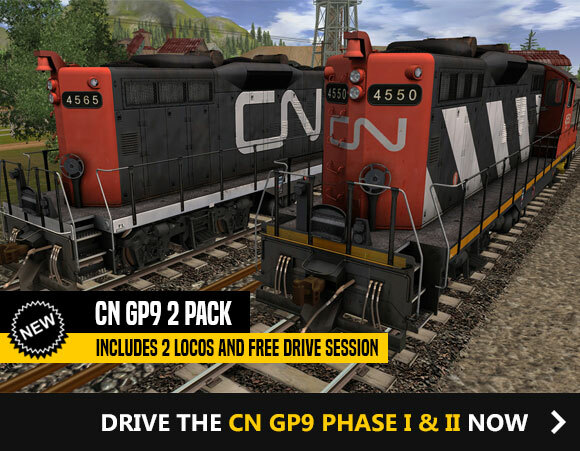 Get the CN GP9 ( Phase I and II ) in this great 2 packs. The CN GP9 2 Pack offers a Free Drive session to just jump in and drive these fantastic machines! Use the Train tab in the session to add to the engines. This is a sequel of tutorials that show how to create certain types of materials in Trainz. 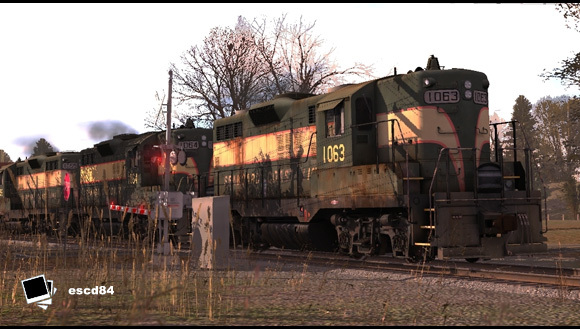 You can take this example and build / learn from it in the hope that you might achieve a better look using all the available material variables in Trainz. Meet the community, join Trainz social channels.